Home > Full test > Edmunds Inside Line : How Fast Is The GT-R Without Launch Control? Edmunds Inside Line : How Fast Is The GT-R Without Launch Control? Edmunds Inside Line has tested an R35 GT-R with and without launch Control. There's been a lot of speculation on the performance, but we have data loggers and test drivers and a closed test facility, we don't need to speculate. 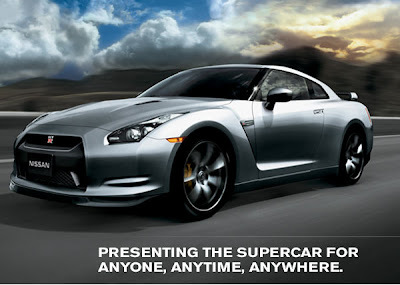 Last week we put our 2009 Nissan GT-R back on the starting line, this time without launch control. Follow the jump for the numbers. Comments: "After trying every combination of suspension settings, shift protocol, automatic and manual shift, and traction control, I tried a completely default run (Normal: shift, suspension, trac) and it effectively tied my all-R / Manual shifted run. Big bog out of the hole, but then it goes like stink." 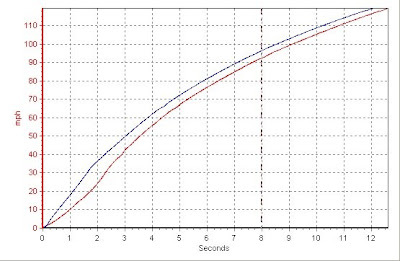 The Blue line represents the GT-R w/ launch control, the red line is w/o. There you have it. 4.3 instead of 3.83. Let the GT-R bashing begin!